Monkeys. Clowns. Peanuts in paper bags. What’s not to love about the circus? (Besides the smell, dancing poodles, and clowns?) Surprisingly, there haven’t been a ton of movies set at the circus. Not so surprisingly, there have been very few good ones. 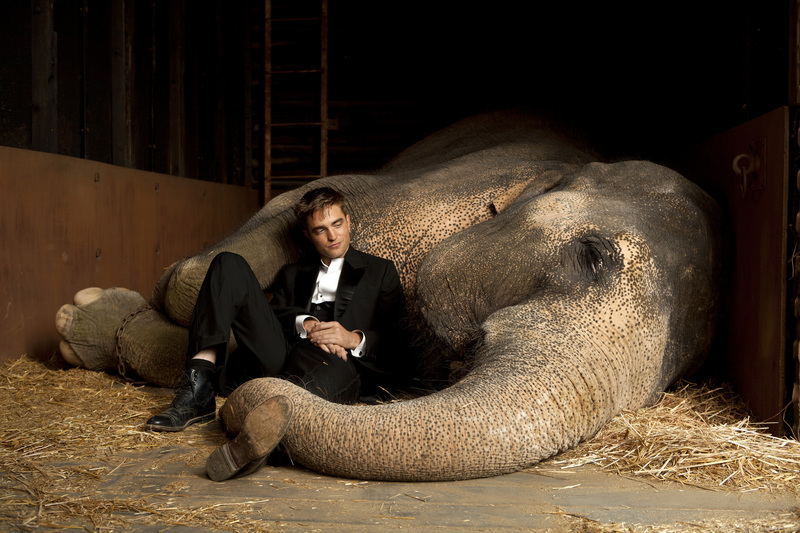 Water for Elephants, which stars Reese Witherspoon and Robert Pattinson in a love story set under the big top, opens on Friday. We’ll let you know if it’s any good. In the meantime, here are our 10 favorite circus movies. Every movie David Lynch makes is like a freak show. So it’s fitting that his best movie is set in the actual world of freaks and geeks. It’s based on a true story, but that doesn’t make it any less surreal. Felliniesque is pretty much film-speak for “circus-like.” The great Italian director sprinkles carnival imagery in so many of his movies. This one goes all the way in its love story about a boorish strongman and a young girl. Like Lynch and Fellini, Tim Burton makes movies suited for a sideshow. One of his best traces a dying man’s life through the tall tales he’s told over the years. You don’t need the circus story to smell the sawdust. It inspired the Ramones. It pissed off censors. And it remains one of the most disturbing movies ever made. This 1932 thriller stars a bunch of real circus freaks who get even with the bullies who attack one of their own. Wim Wenders’ gorgeous, elegiac rumination is about an angel who falls in love with a circus acrobat and gives up his immortality to be with her. The backdrop adds to the mystique. Charlie Chaplin’s 1928 silent feature came between The Gold Rush and City Lights, two better movies. But this comedy about the Little Tramp at the circus has its moments. Plus, monkeys! Lots and lots of monkeys! Unlike most of the movies on this list, Disney’s 1941 cartoon about an elephant with ginormous ears makes the circus seem like a happy, fun place, not a breeding ground for moral corruption. The Odd Couple’s Tony Randall plays seven different characters (eight, if you count the cameo as an audience member) in this whimsical story about a traveling circus and the mysterious guy who runs it. This overblown 1952 epic, directed by Cecil B. DeMille, won a Best Picture Oscar and comes closest to what most people think of when they hear the word “circus.” Charlton Heston plays a big-top big shot. In the follow-up to the way better Pee-wee’s Big Adventure, the circus comes to Pee-wee, literally blowing in next to his farm. Harmless fun. I know you are, but what am I?